Lake Street is changing. Photo by Patience Zalanga. 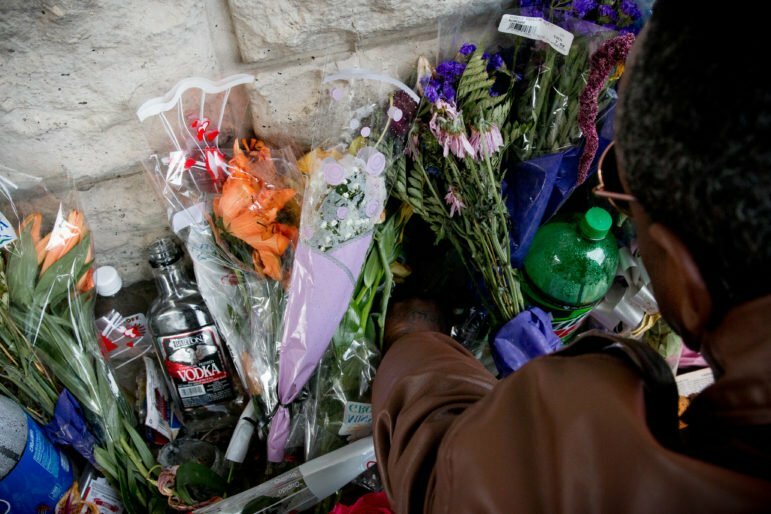 On Nov. 2, a multiracial group of people gathered at Plaza Centenario on the corner of 12th Avenue and Lake Street in Minneapolis. Organized by the Immigrant Movement for Justice, Por Raza and Morena Minnesota, an ofrenda for Day of the Dead was built to honor family members and community leaders throughout the world who passed away due to injustice. The plaza was established by the tireless efforts of local community groups Cuernavaca-Cuernavaca-Axochiapan-Morelos (CCAM), Club Morelos (CM) and Latino artists. Towering above pedestrians stands a bronze statue of Mexican revolutionary leader Emiliano Zapata created by German Michel Leal, an artist from Morelos, Mexico, a sister city of Minneapolis. The event and surrounding plaza reflect the beauty of arts and culture on Lake Street. The cultural productions of this area are birthed from social justice seedlings, watered by transnational dreams and cultivated by working class people who believe another world is possible. Events like this, driven by community, are possible in direct contrast to the neglect by government officials. For decades, the city of Minneapolis divested in South Minneapolis’ Lake Street corridor. With the increased migration of Latino and East African residents in the late 1980s into the 1990s, the area saw a transformation with new small businesses and organizations establishing storefronts. 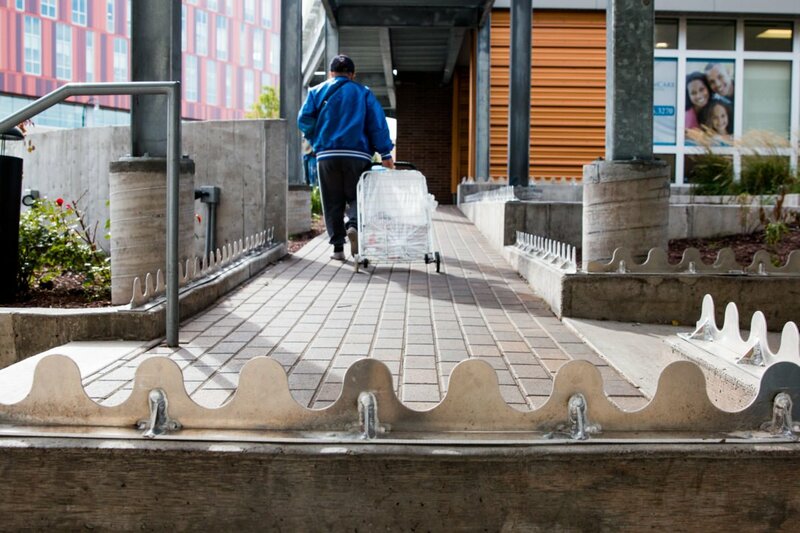 Mercado Central, generated from asset-based community development with Latino entrepreneurs, opened in 1997 as a business incubator cooperative and illustrates the productive turn towards community investment. The proliferation of commerce, art and culture has made Lake Street and the surrounding neighborhoods attractive to city officials and urban developers who now find promise in a once institutionally neglected area. Flowers laid in memoriam along Lake Street. Photo by Patience Zalanga. In the early 1990s as immigrant working class families revitalized the Lake Street corridor in Minneapolis, cities across the nation such as New York’s East Harlem and San Francisco’s Mission District were in the thralls of gentrification. While the term gentrification in mainstream liberal narratives is marked as dirty and shameful (no one wants to be labeled a gentrifier as much as they want to be labeled a racist), the debate whether gentrification is even occurring in the Twin Cities remains. Coined in 1964 by Ruth Glass, the term gentrification describes the displacement of working class London residents by wealthier individuals. Today, gentrification accounts for more than class politics. Understanding why cities change, people become displaced and the cultural heart of a neighborhood stops beating requires an interrogation into also people’s race, gender, sexuality, nationality and immigration status. As Brittany Lewis, Research Associate at the Center for Urban and Regional Affairs (CURA) said, “The misconception about gentrification is that it is quick. It happens overnight. This is, however, not the case, gentrification is a slow process. 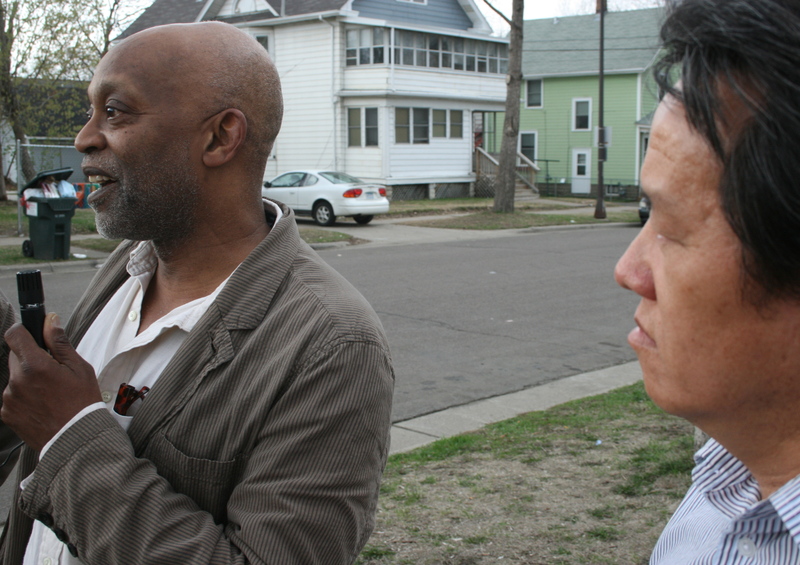 By the time we see a complete turnaround of a neighborhood it is almost too late.” Lewis’ qualitative study of gentrification in select Minneapolis and St. Paul neighborhoods seeks to tackle the trends that make up this slow process. Her team will launch a website of their findings from fifty-eight interviews in early January 2018. Despite organizers fighting for housing accessibility and wage increases in the Twin Cities, another potential problem for those working against gentrification is what John Howkins terms the “creative economy.” Richard Florida argues the post-industrial era, gives rise to creative occupations bringing forth a new class of people, the “creative class.” Central to the creative class is the capitalization of the imagination. It is the individual, the innovator, the outlier in social spaces that becomes the new trendsetter. Urban planners, city officials and corporate investors motivated to attract members of the creative class, generate designs and policies to showcase art and culture. Examples of the creative city include large-scale public art, corporate art festivals and place-making projects. Yet, creative economies do not mean an obliteration of historical and structural inequities. While women are the majority of creative workers in Minneapolis, people of color and Native people remain low at 9 percent. By zip code there are clear discrepancies. The 55407 area (neighborhoods surrounding Lake Street between Interstate 35W and Hiawatha Avenue) has slightly over 500 creative workers compared to others with over 2,000. Under a creative economy, arts and culture becomes one more way to capitalize on a community’s assets. But at what cost? Artists have often been labeled as contributors to gentrification. The assumption of a homogenous artist, however, fails to recognize the diversity of artists. Moreover, the requirements to be identified as a creative worker do not account for the everyday creative act or amateur artist. Professionalization of arts and culture, often dictated by foundations, requires flexibility and adaption. This is not a zero sum game. Artists, specifically marginalized artists do not typically have financial security or are even legible to white mainstream arts institutions. Working class, artists of color, Native artists and queer and trans artists, often must negotiate with the creative economy to survive. Tobar Alatriz has been thinking through these questions as the arts organizing and community engagement director at Pangea World Theater. In 2016 Pangea received a National Endowment for the Arts (NEA) Our Town grant to conduct community engagement on East Lake Street. Under the program Lake Street Arts!, a multidisciplinary community and leadership development vehicle, Tobar Alatriz and Pangea have held nearly 50 performances, workshops, dialogues, trainings and gatherings. Plaza Centenario is the heart of their public work. Each month Latin@s Unidos por la Cultura y el Arte (LUCA) hosts Café Con Pan, a family-friendly event with hot coffee, breads, art and culture. Activities at these monthly gatherings include everything from poetry to breakdancing classes. The conversations generated during these events will help shape the Comprehensive 2040 plan as well as the potential for making Lake Street a cultural corridor (Franklin Avenue is already a Native American cultural corridor). 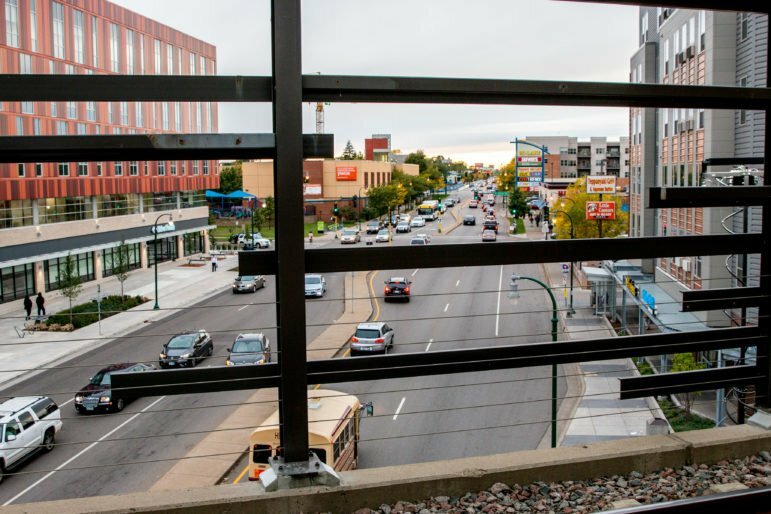 Lake Street, as seen from the Light Rail Station. Photo by Patience Zalanga. What’s most important about this work is documenting the experiences and desires of people often overlooked in city development. The challenge, however, is what will the outcome of this work be? Projects under the umbrella of the creative economy open themselves to become what Arlene Dávila called, “marketable ethnicit[ies]” where “the goals and objectives of marketing culture for economic development favors ethnicity cleansed from ethnic memories and politics.” What we see in the discussion around arts and culture in Minneapolis is that certain art is valuable, certain cultural artifacts are desirable, but the people, their histories and political issues, attached to those arts and culture are disposable. The difficulty in pinning down arts and culture as it relates to gentrification is that cultural displacement is not easily quantifiable. How do you measure the feeling that you are no longer welcome as you walk to the bus stop? What litmus test do you use to show that the smell of your block has changed or that the sounds of childhood nostalgia have been replaced? How do you quantify the feeling that your cultural foods, such as the taco, are desired but your undocumented family members are not? Lake Street has never been a blank canvas waiting to be discovered. It is and always will be Dakota homeland. Confronting cultural displacement begins with nuanced conversations that account for Native sovereignty, reparations and sanctuary status. A multidimensional approach that can hold all of our identities, complexities and histories means that we must address the ways we are complicit, the ways we benefit and the ways we are harmed by city development. Arts and culture on Lake Street is not a black and white issue. It’s in the grey area, where the colorful solutions lie. This week: UMN student creates Spanish-language podcast with local Latino community in mind, grand opening of the Cedar-Riverside Opportunity Center and the Eastside Freedom Library wins national award. “What makes people love where they live, and why does it matter?” “What bonds residents to a city and how can a community foster those emotional ties to drive economic success?” Those are questions explored in the Soul of the Community Project, a major initiative of the John S. and James L. Knight Foundation and Gallup pollsters. They were also the focus of several presentations by Dr. Katherine Loflin during her Placemaking Residency in the Twin Cities in early May.